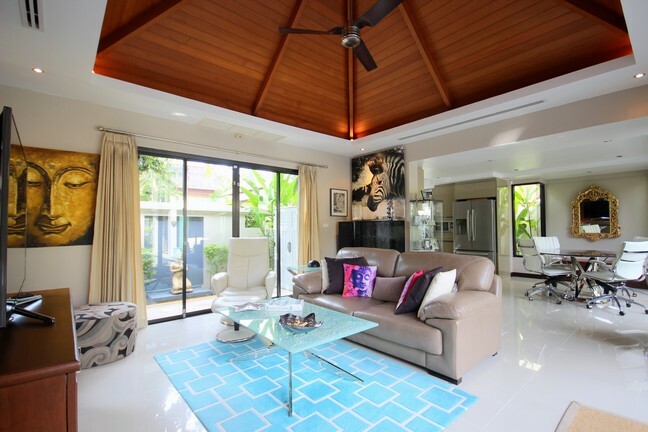 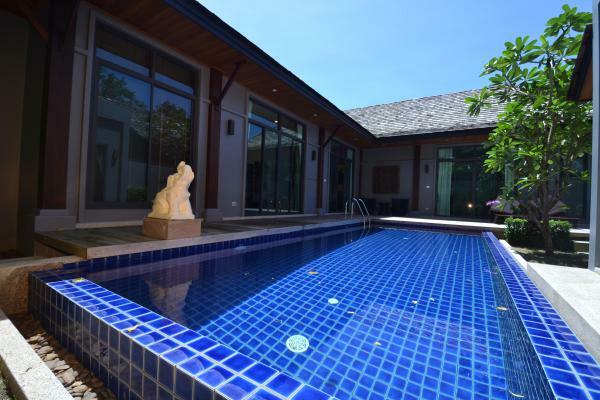 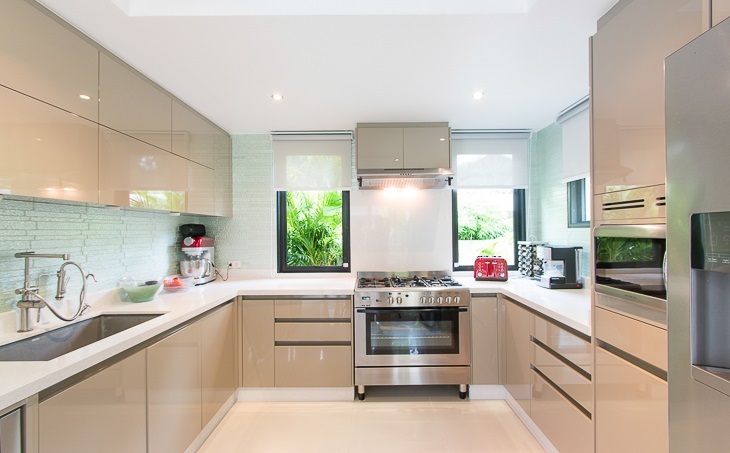 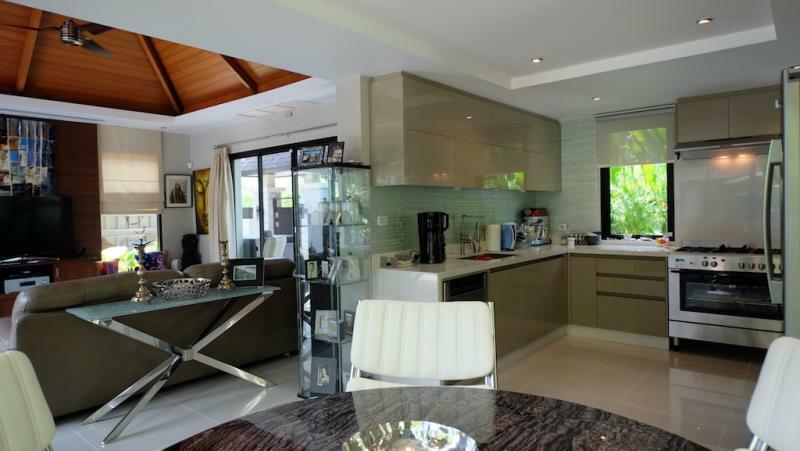 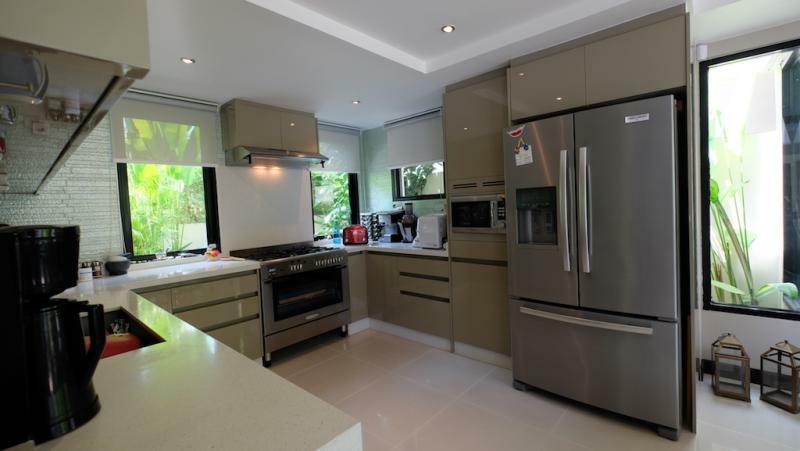 Luxury 3 bedroom pool villa for sale in Botanica project in Layan, Phuket. 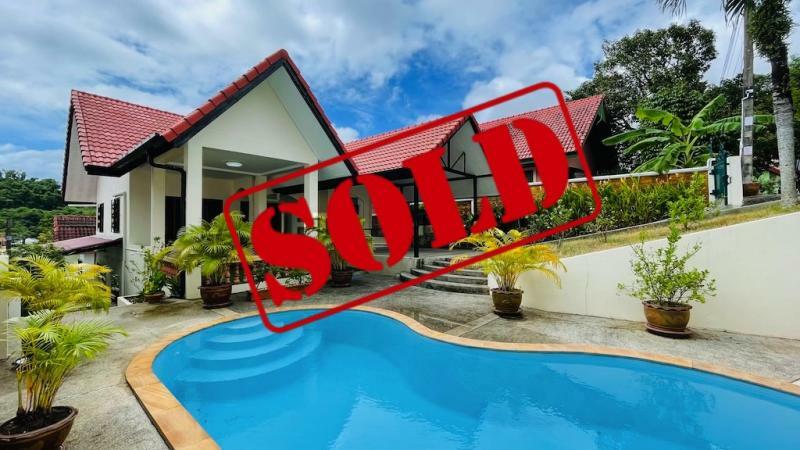 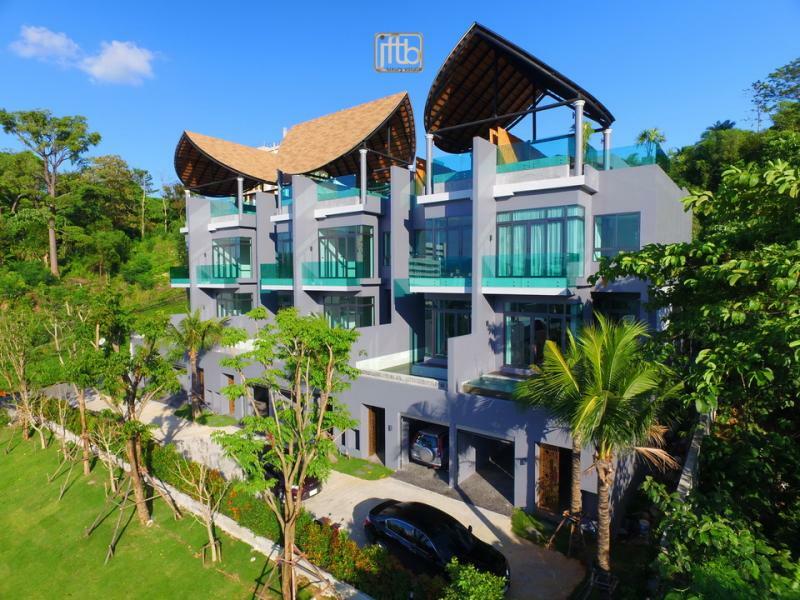 Our Phuket real estate agency is pleased to offer for sale this luxurious villa located in the high end development of Botanica. 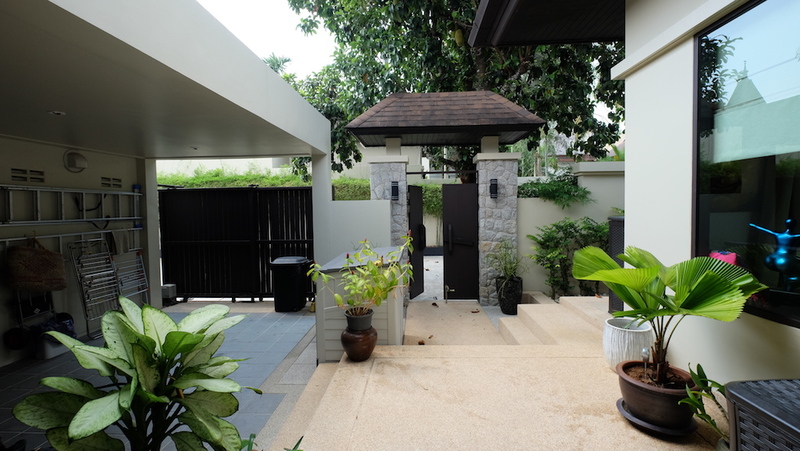 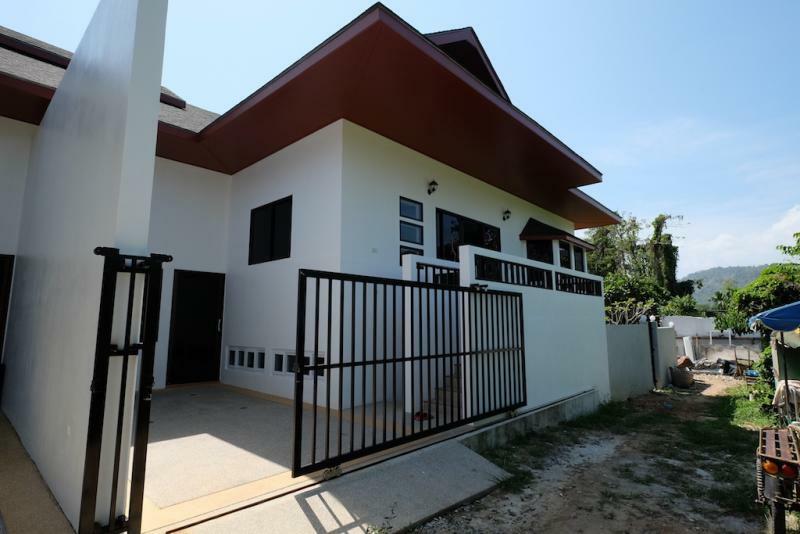 3 Bedrooms - 3 Bathrooms - Building size: 275 m2 - Land size: 400 m2 with Chanote under A Thai company asset (Freehold). 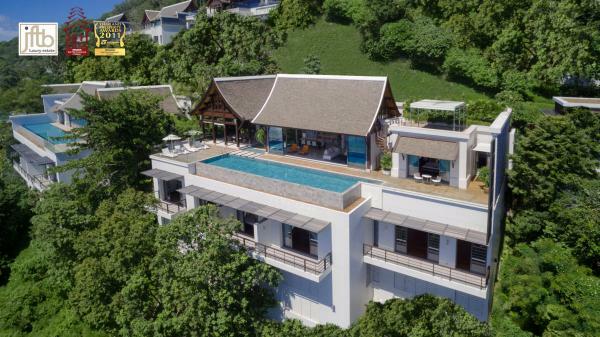 A truly stunning totally reformed Phuket 5 star Balinese style pool villa, combining modern design stunning Thai architectural features of high quality build in a low density luxury estate located on the upscale north-western side of the island offering nice breezes due to its elevated position. 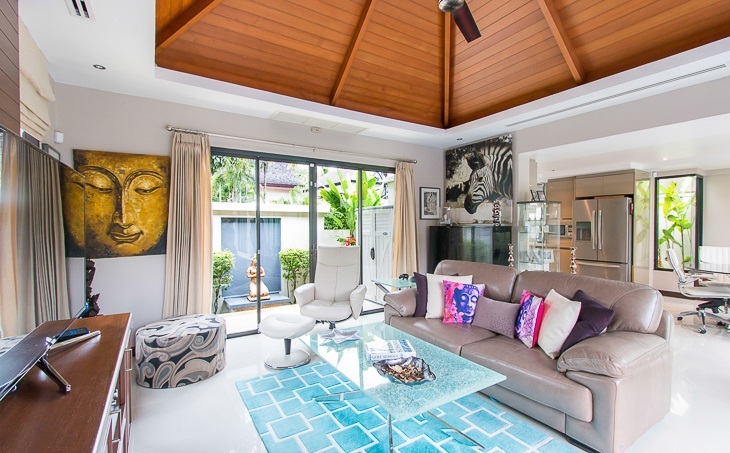 Superb location offering peace and quiet but just a short drive in any direction will bring you to white sand and blue water beaches, restaurants and boutique shopping areas of Boat Avenue, Laguna, Bang Tao or Surin, new nightclub and the uncrowded soft white sand beaches of Layan and Bang Tao which have several beach clubs for chilling and eating and enjoying the stunning sunsets! 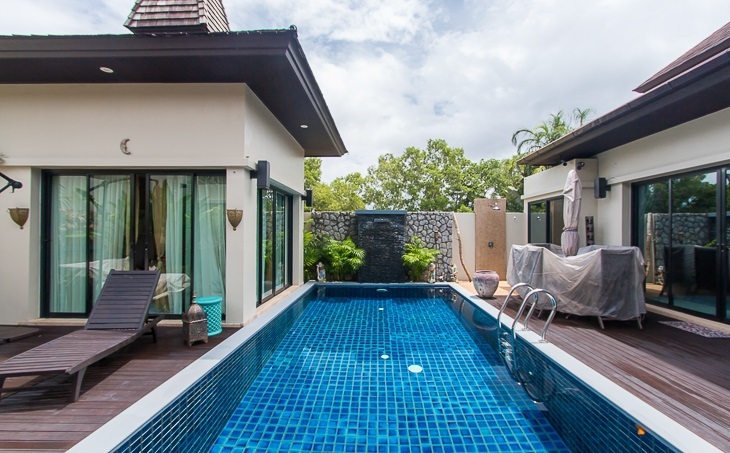 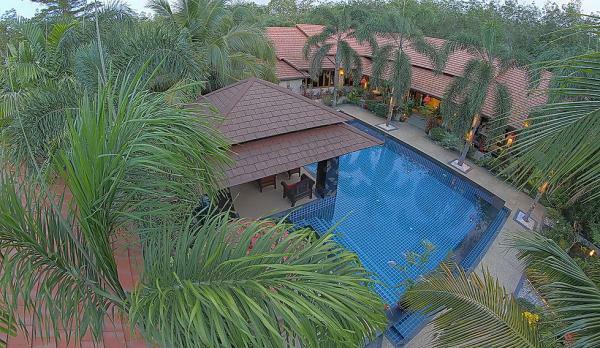 The manicured garden is lush with tall palms, statues and sand stone wall carving and the evenings with the illumination create a romantic setting for family or friends to gather and enjoy Phuket lifestyle! 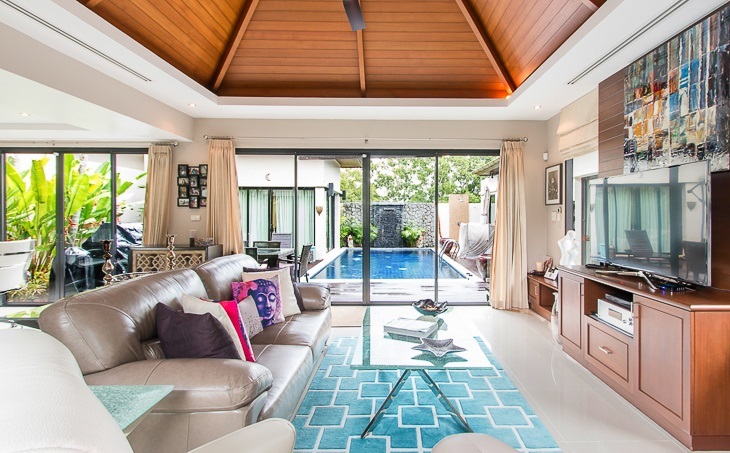 The bright open living and dining room and all three of the bedrooms open onto the pool area, giving an open, airy, relaxing feel to the villa. 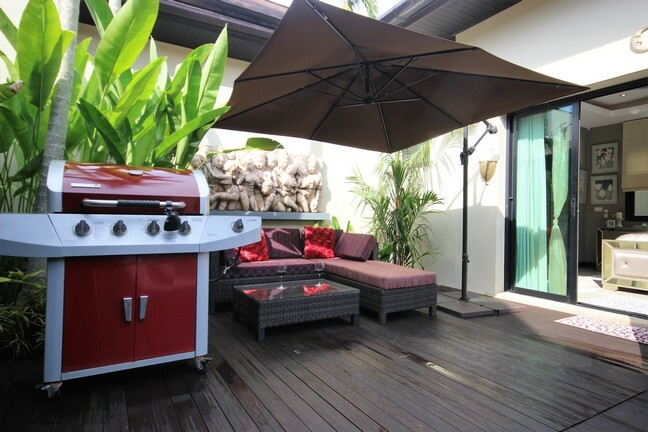 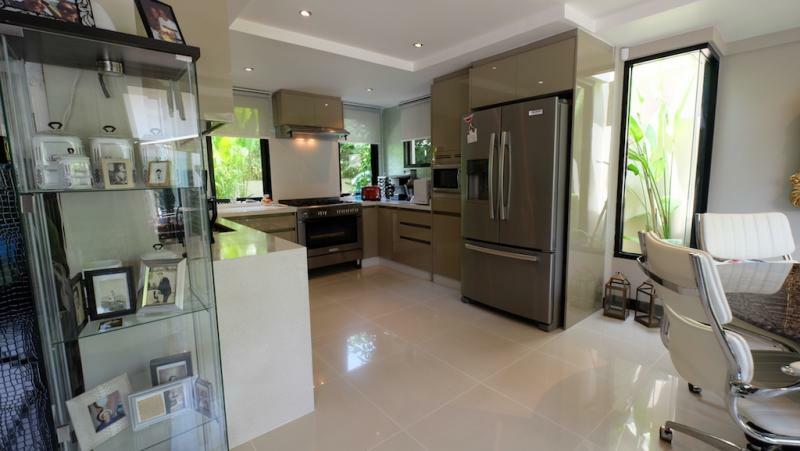 An exceptionally modern new Italian style kitchen with stainless appliances and an automatic waste disposal unit also a water filtration system complements the layout with easy access to the outdoor BBQ grill with wok. 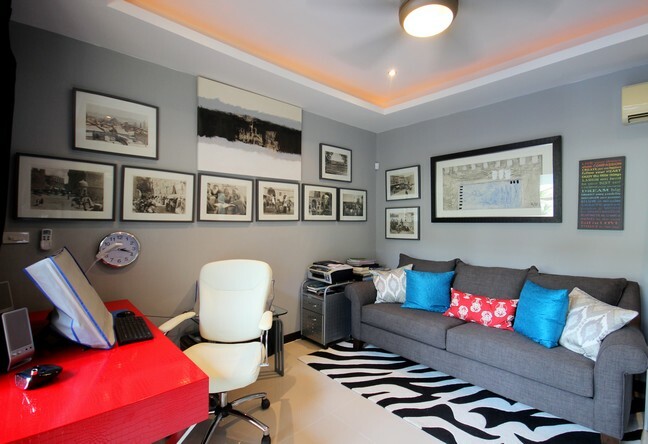 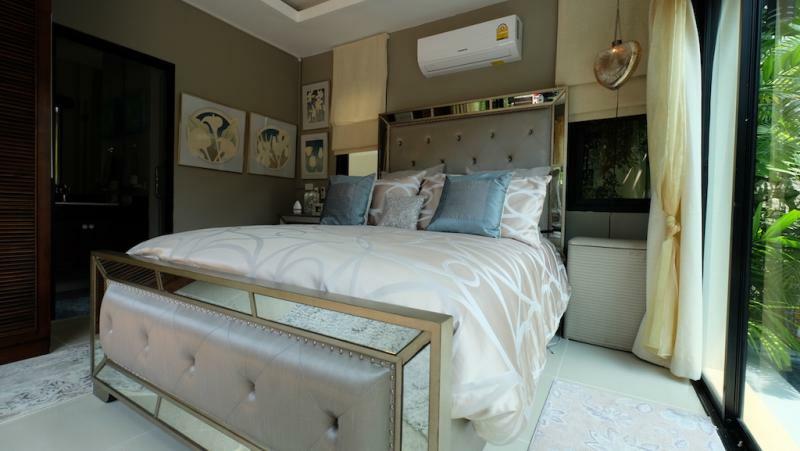 Features include contemporary design imported furniture. 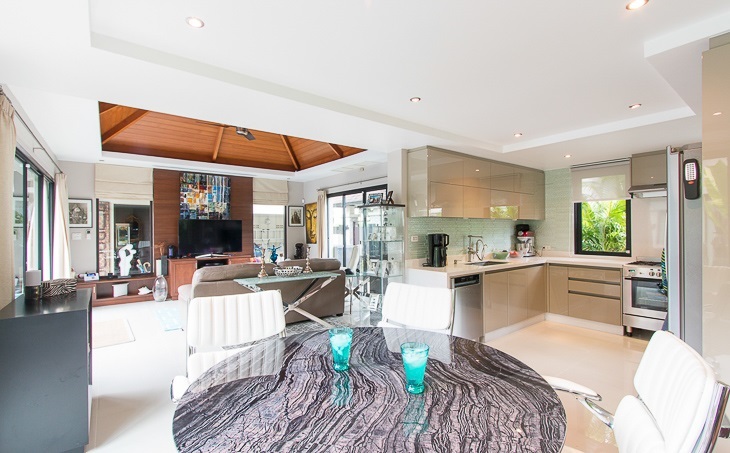 The big round black Italian marble table can accommodate 6-8 people. 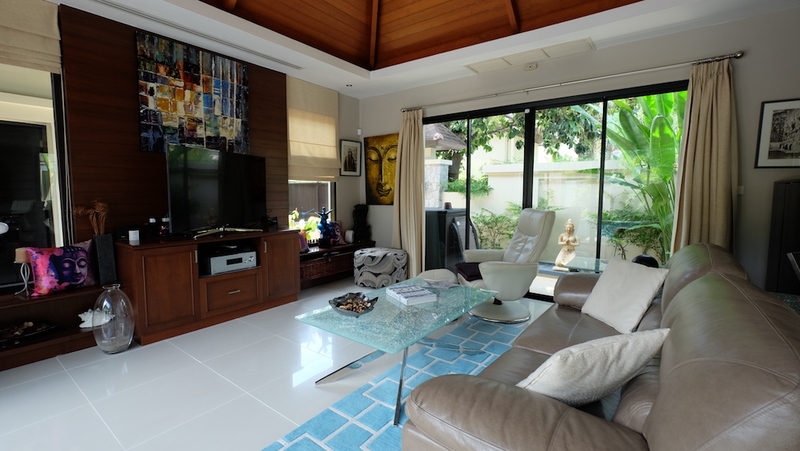 Large Cream tile throughout the villa for easy maintenance. 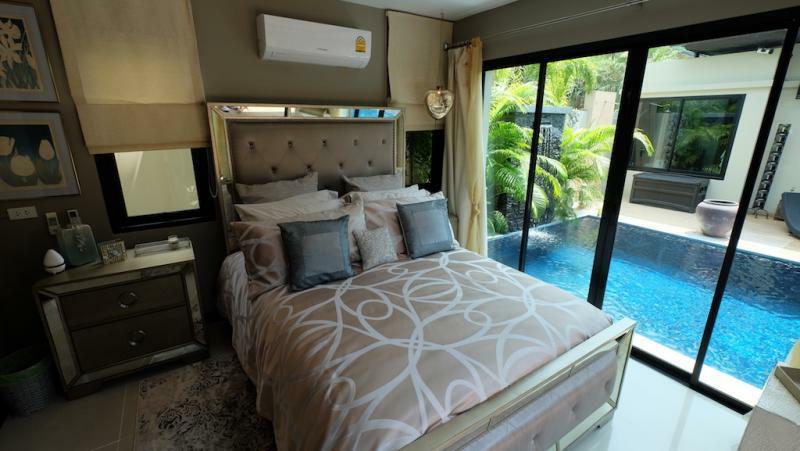 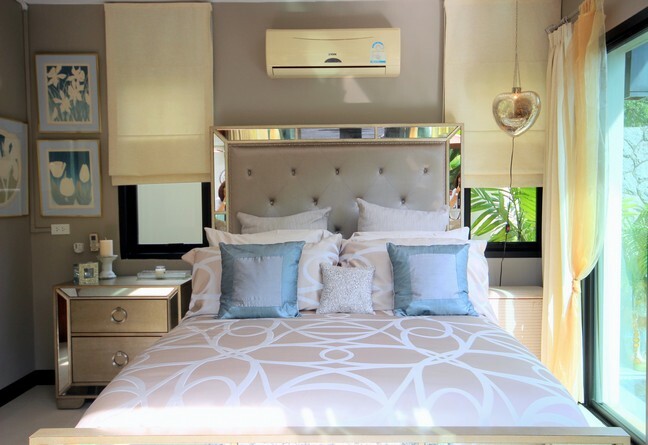 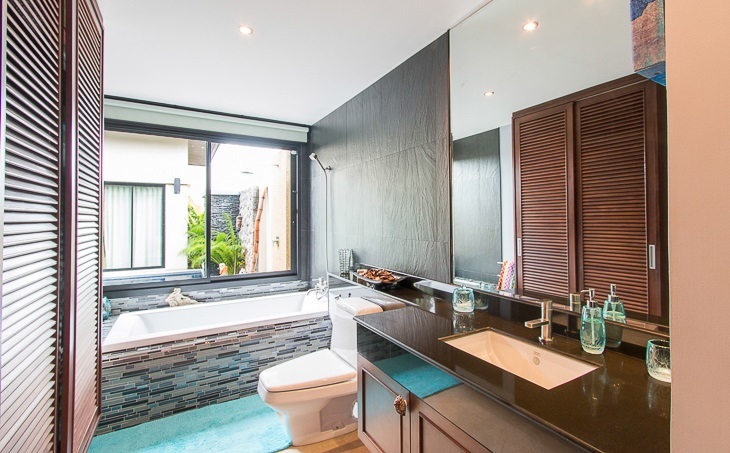 All 3 bedrooms feature large louvered built-in wardrobes, en-suite bathrooms and 2 bathrooms have huge outside showers as well. Sliding glass doors open onto the pool and the fountain feature is so calming. 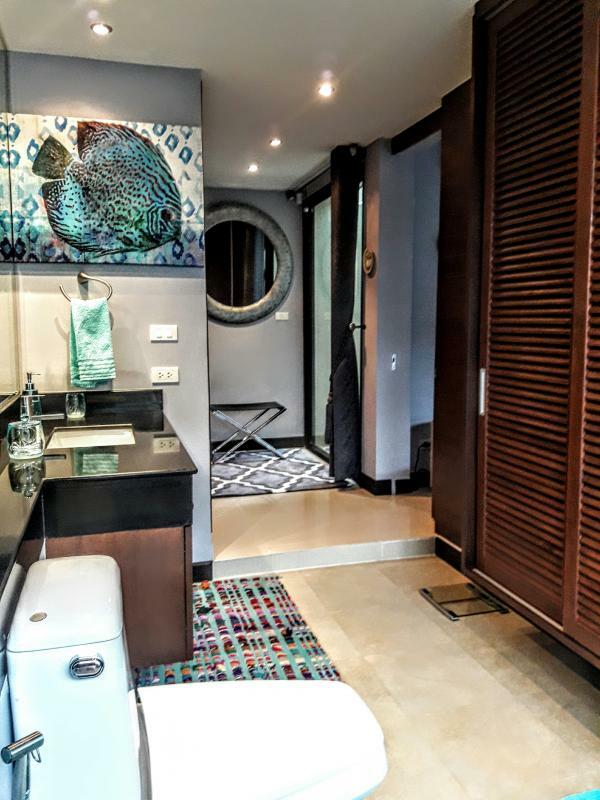 One bedroom is in a separate pavilion on the opposite side of the pool area, offering additional privacy to your guests and has a refrigerator. 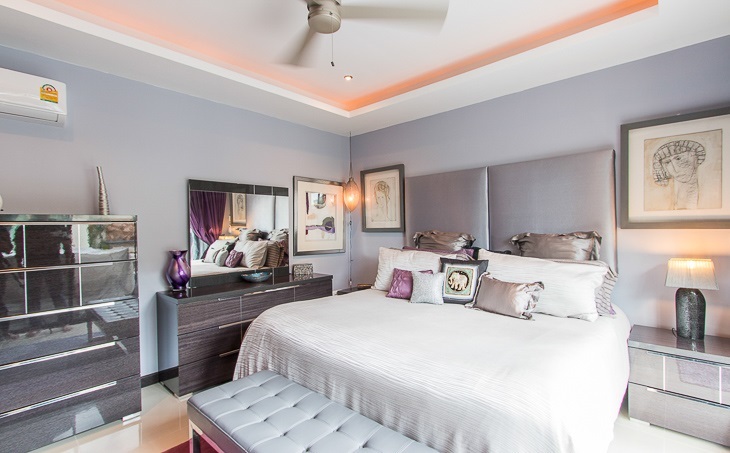 The master bedroom offers a king size bed. 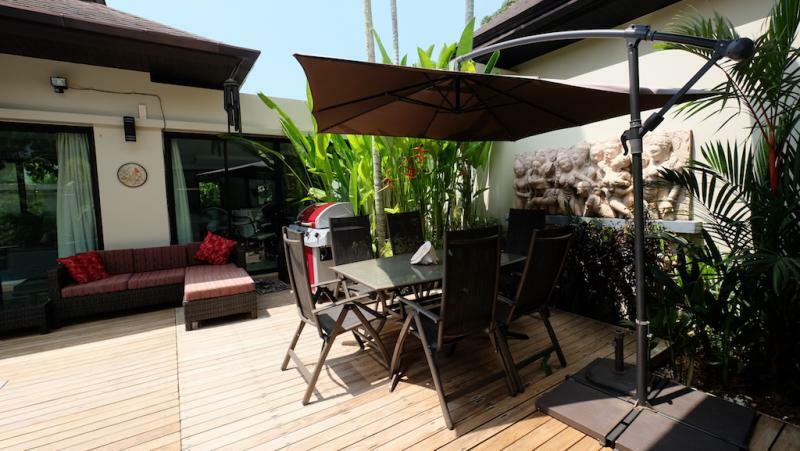 Spacious outdoor living area with wood decking and sunning area and a shade umbrella makes the pool area a central gather spot. 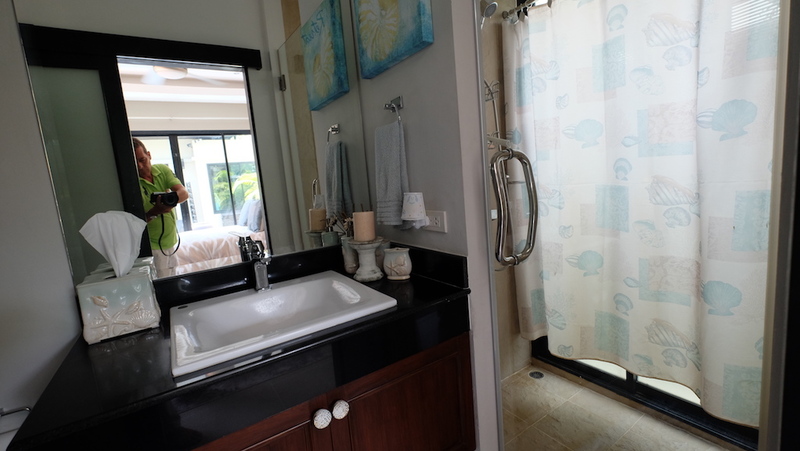 Adjacent to the carport is a large laundry room with storage and a separate electrical maintenance room and more storage. 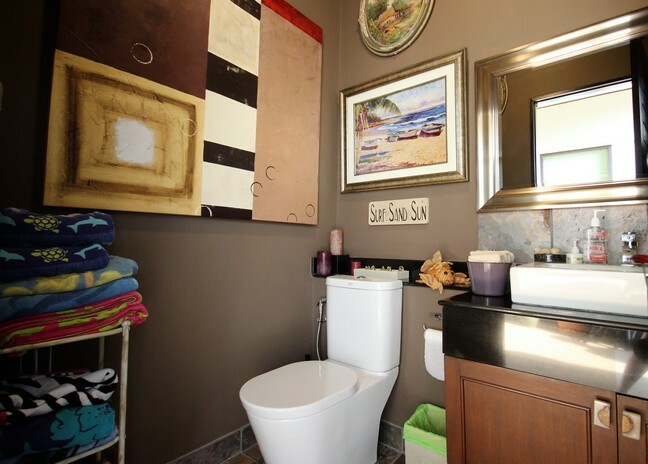 Monthly maintenance fees are quite low. 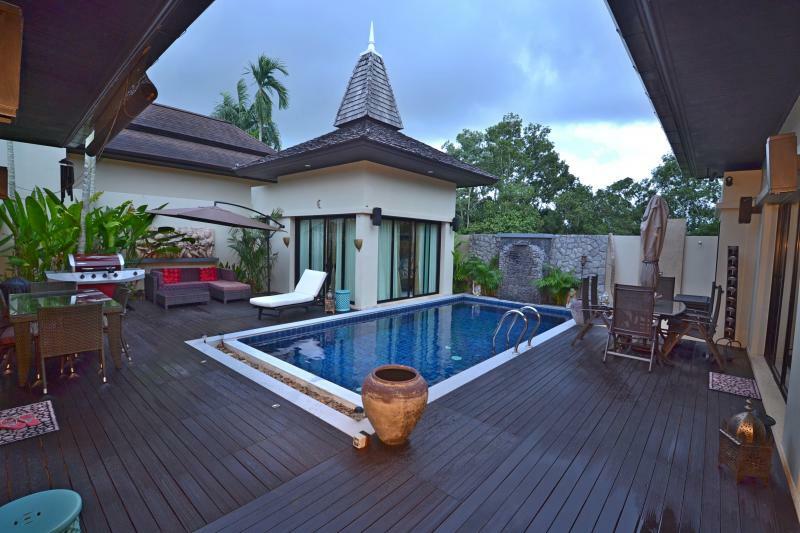 The villa faces to the East so the pool has sun most of the day yet the deck area is shaded from the afternoon sun. 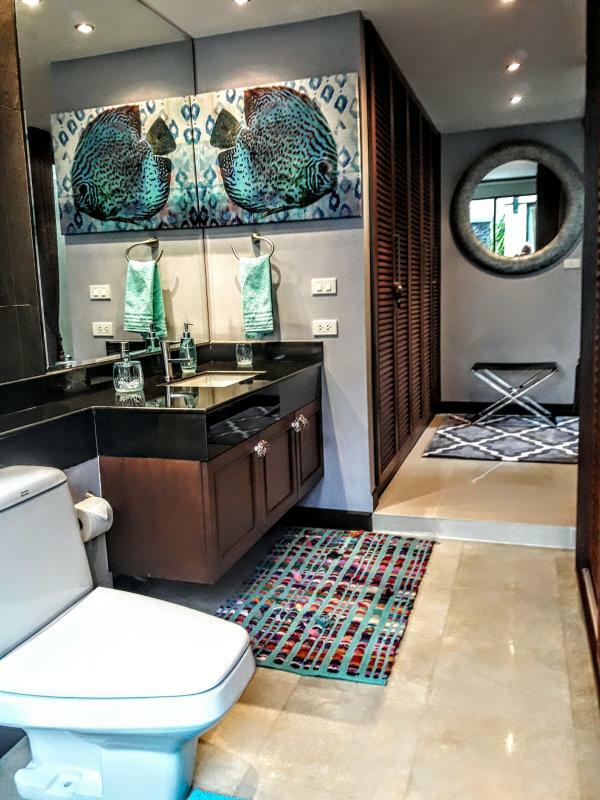 A guest toilet with Indian slate tile next to the carport for swimmers and a shower by the pool completes this lovely home. 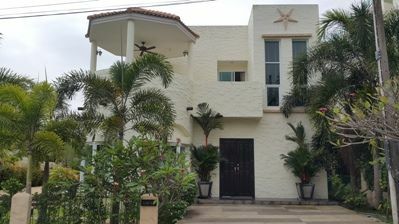 This is a perfect villa for living and as well for a great rental investment and is located in a prestigious area of the island. 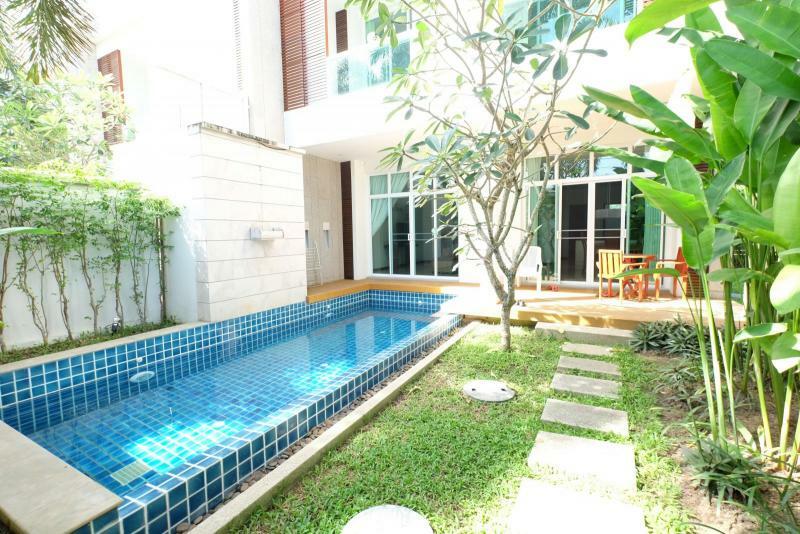 Extremely desirable area for rentals and just 15-20 minute drive to the International airport. 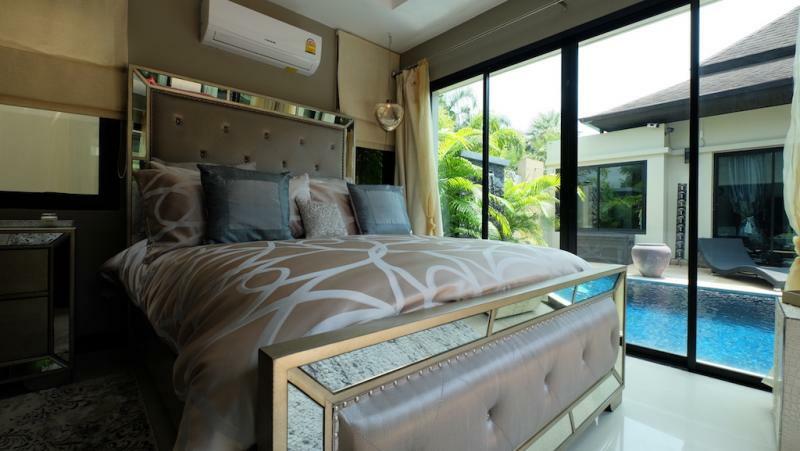 This gem is nearby Layan Beach, Laguna and Bang Tao.